Pasta with white mushroom sauce is a very quick dish. In my kitchen this recipe comes very handy in those lazy days, when we do not want to order-in and also do not want to spend a lot of time in kitchen, not even 15 mins. 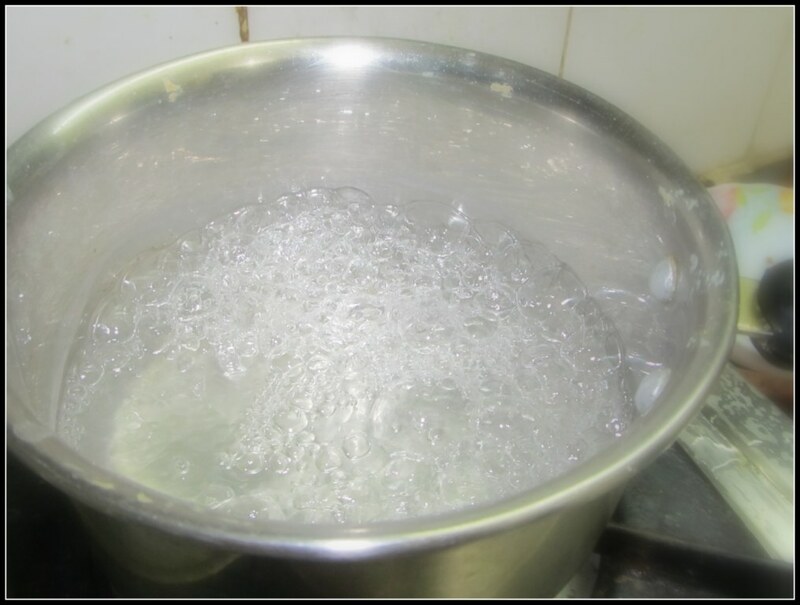 To cook the pasta, boil some water with a spoonful of salt. Adding salt upfront is really important, or else the pasta stays bland. When the water starts to boil add the pasta and let it cook for 8 to 10 minutes, orr till you get the desired softness. 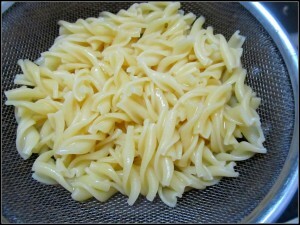 Do not cook the pasta till it is all soggy, it does not taste nice. When the pasta is done, drain the water. The experts in Italian cooking says, if you add back some of the salty pasta water in the sauce, it tastes better. You can do that for sure, but today I felt lazy and skipped this step. However do not forget one thing, if you are not going to use the drained pasta right away (even if the wait time is 5 mins), just sprinkle some olive oil, otherwise they tend to stick. 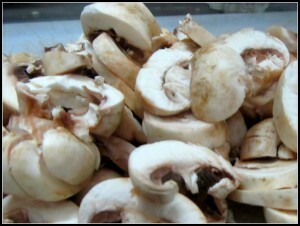 While the pasta is boiling, clean and roughly chop the mushrooms. 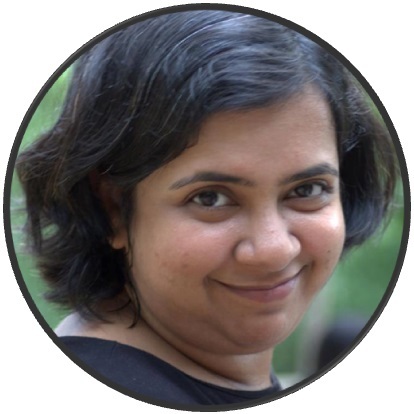 Size or shape of the end product does not matter much 🙂 . Cut the Onions as well. 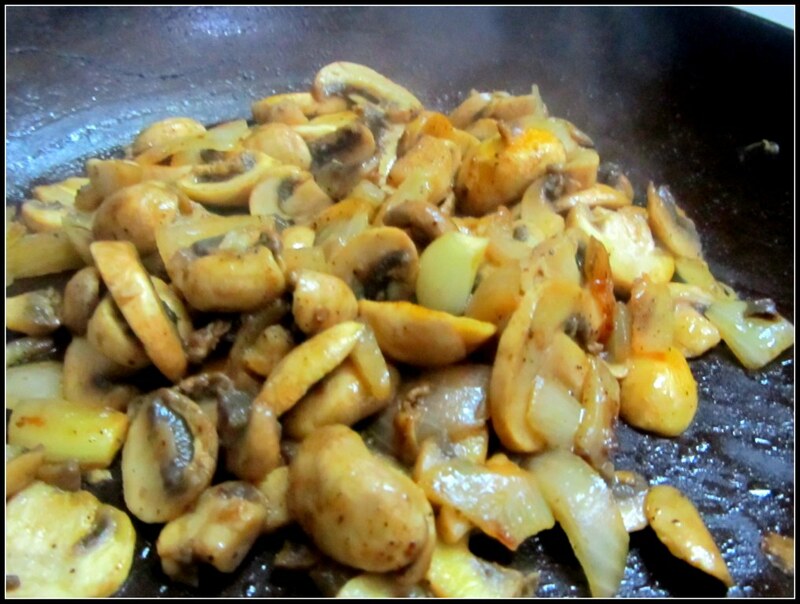 To prepare the sauce, first heat some oil in a frying pan. 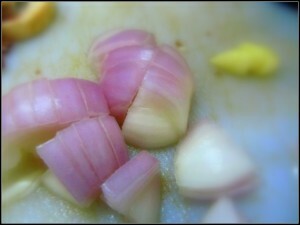 When the oil is hot add the garlic cloves and the onions. 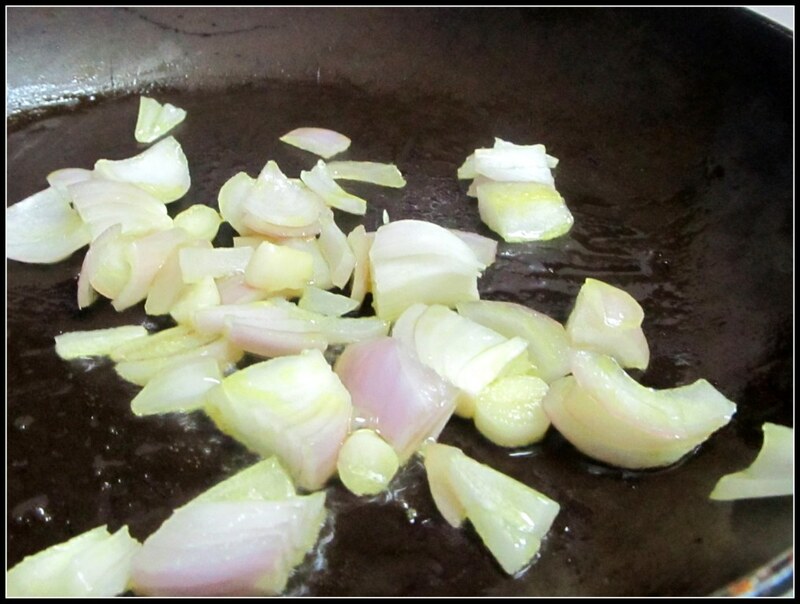 Fry till the onions become translucent. 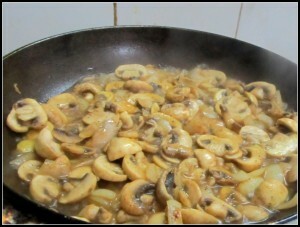 Now add all the mushrooms in the pan. 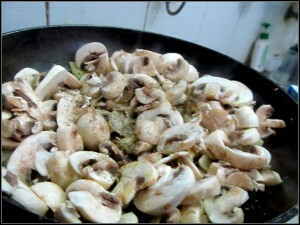 Add salt, black pepper powder. Mushrooms contain lots of water which shows up while frying. Wait till all the water evaporates. 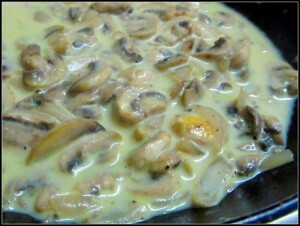 Now add milk, the amount of milk depends on how much sauce you want. Sprinkle some salt or pepper if you feel like. Add the dried parsley. Bring the sauce to a simmer. Add the cooked pasta and mix. 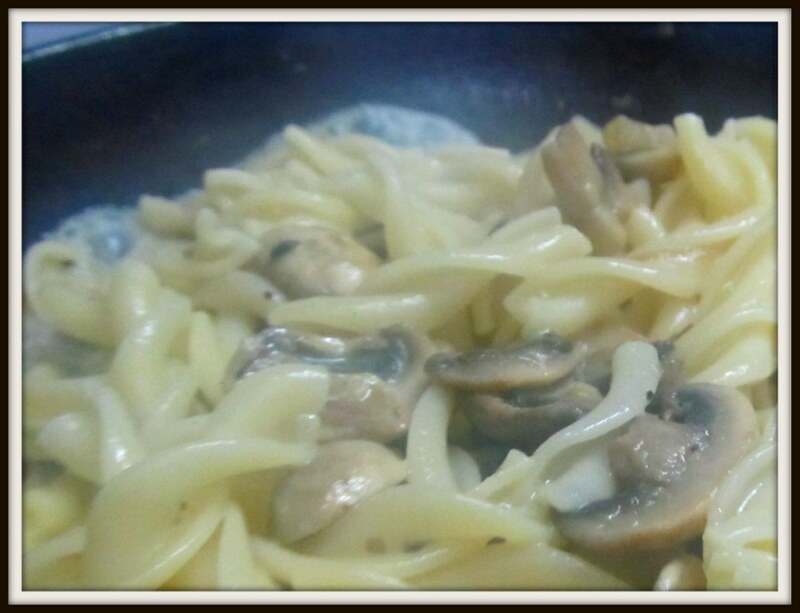 That’s all, your pasta with white mushroom sauce is ready for serving. 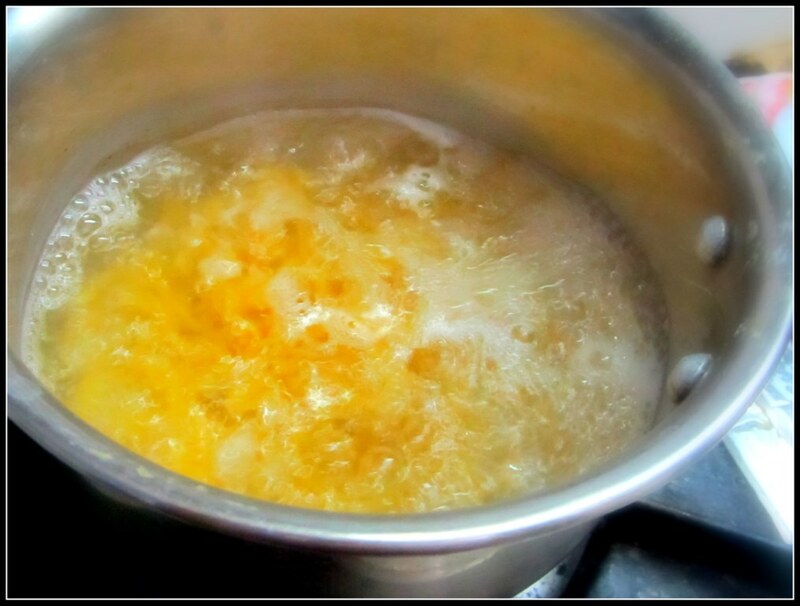 When the water starts to boil add the pasta and cook for 8 to 10 minutes. When done drain the water.